← Lancaster, Pennsylvania. October 3rd, 2013. 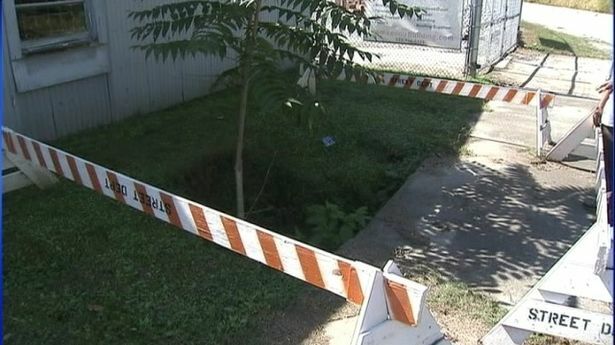 Sinkholes across downtown Lenoir could cost the city nearly $6 million to repair. 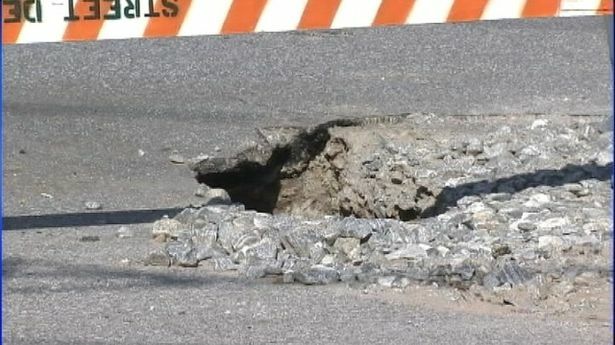 This summer’s heavy rain damaged one of the city’s oldest drainage lines close to where two one-way streets merge and create a funnel of traffic through downtown. Drivers may not even see something wrong unless they get out of their vehicles. From above ground, it is difficult to see how the small holes like the ones along West Avenue could cost so much to fix. City of Lenoir officials said the 8-foot diameter line was built more than 70 years ago. There are cracks in the walls and ceiling where the pipe had corroded, causing the pavement above to sink. City leaders are in the early stages of making repairs, and it may be next year before they begin. They have $3 million in reserve funding, but spending it all on the storm-drainage line would eat up one-third of those funds that are set up for emergencies. Wet weather over the summer is to blame, according to some residents. This entry was posted in Pictures and tagged lenoir, North Carolina. Bookmark the permalink.